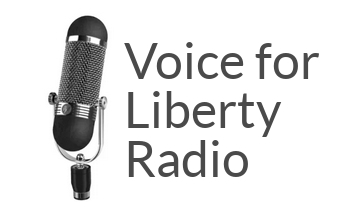 Listen to Voice for Liberty Radio below, or at these sites. From the Wichita Pachyderm Club: Sedgwick County Commission candidates Richard Ranzau and Hugh Nicks. These are Republicans vying for the District 4 nomination. Recorded June 8, 2018. The primary election is August 7, 2018. District 4 includes downtown and north-central Wichita, Park City, Maize, and Valley Center. Hugh Nicks on Facebook and at www.nicks4commissioner.com. Richard Ranzau on Facebook and at www.voteranzau.org. 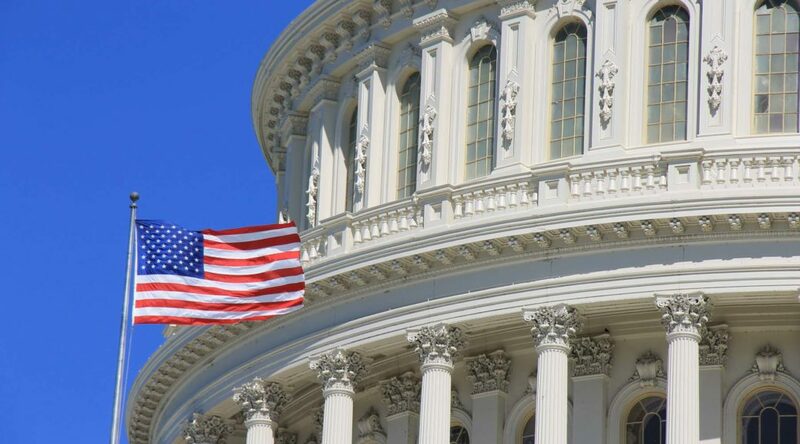 A discussion on Citizens United and the influence of money in politics. This is an audio presentation of 64 minutes length. 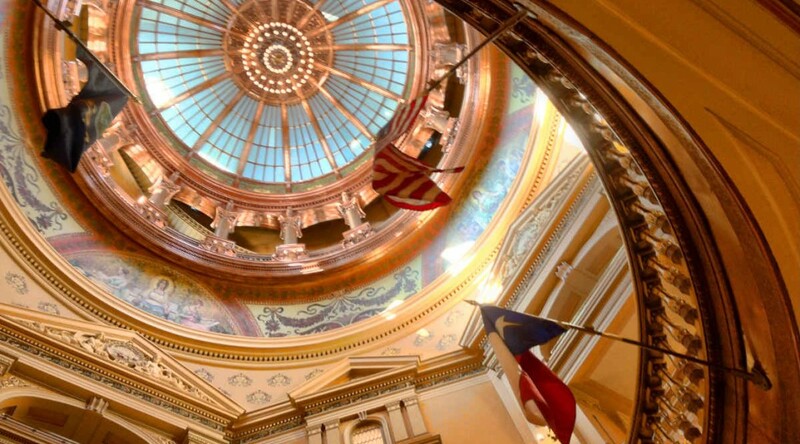 From Pachyderm: Can Wichita Elect a Governor? This is an audio presentation. The accompanying slides are available here. Recorded on March 9, 2018 before a live audience at the Wichita Pachyderm Club. 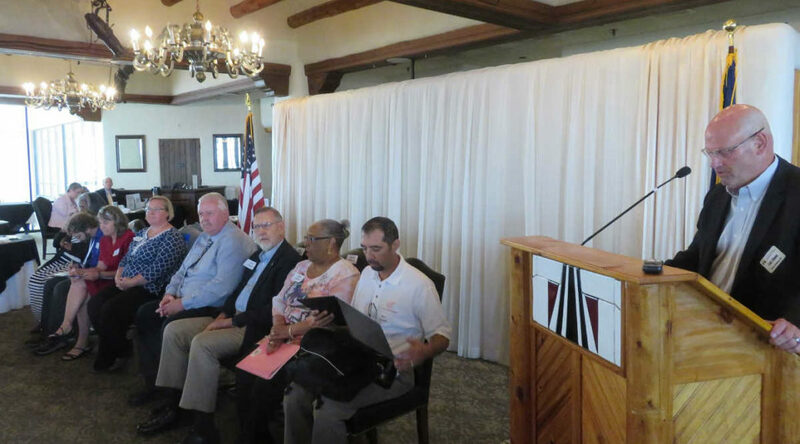 From the Wichita Pachyderm Club: Local government officials present their legislative priorities. Appearing are James Clendenin for the City of Wichita, Dave Unruh for Sedgwick County, and Sheril Logan for the Wichita Public School District. This was recorded December 22, 2017. 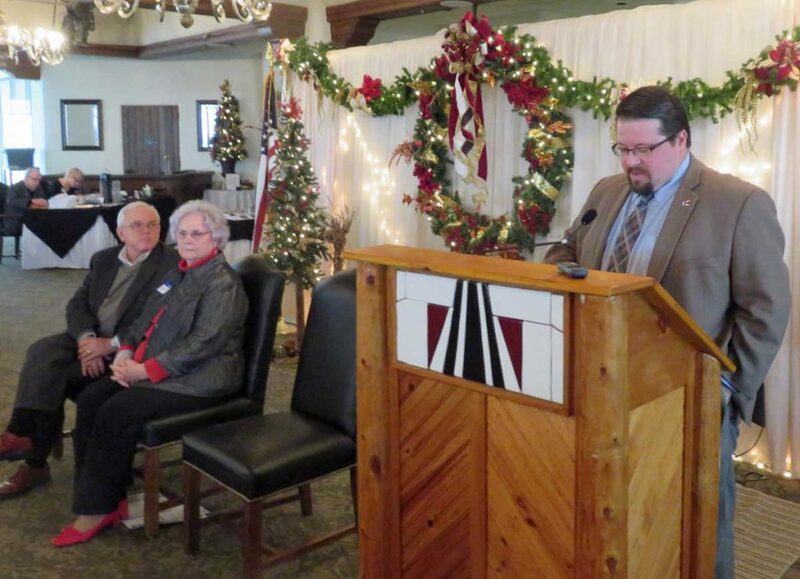 From the Wichita Pachyderm Club: KPTS President and CEO Victor Hogstrom. This was recorded December 15, 2017. 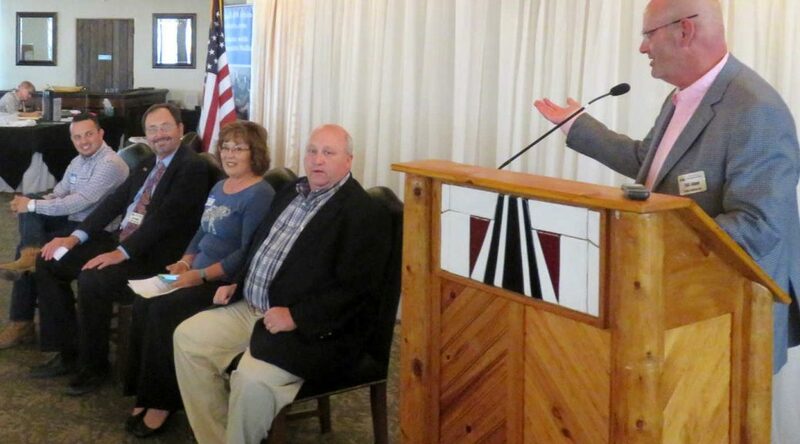 From the Wichita Pachyderm Club this week: Wichita City Council Primary and General Election Candidates. This audio presentation was recorded June 30, 2017. District 1 voters will vote in a primary election on August 1. 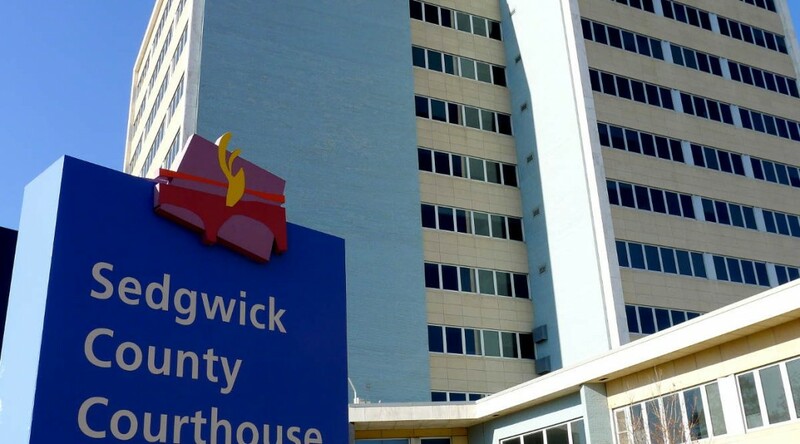 Two candidates will advance to the general election on November 7. For districts 3 and 6, there will be no primary election, and the candidates will compete in the general election. Maps of city council districts are here. Or, to find who represents you in the city council and other offices, use Kansas Voter View, specifically this form. 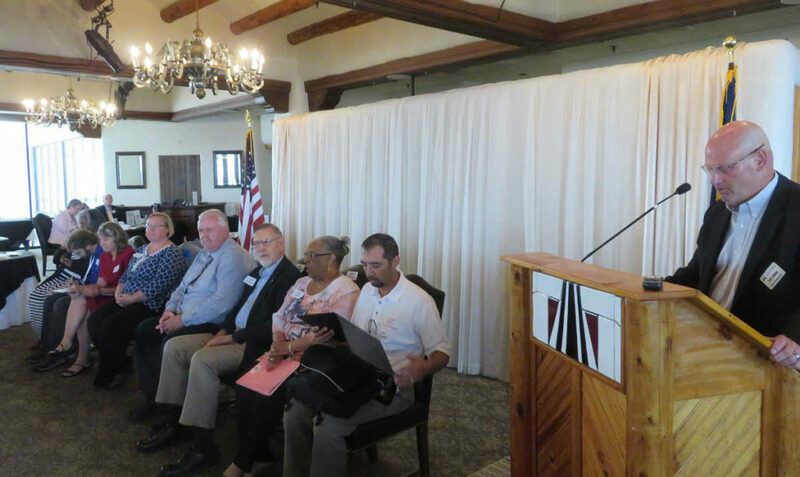 From the Wichita Pachyderm Club: A forum of candidates for Wichita school board. Recorded June 16, 2017. At the lectern is Pachyderm Board Member Todd Johnson who moderated the forum. Wichita school board candidates. Click for larger. The eight candidates in attendance were from left to right, Betty Arnold and Ben Blankley for District 1; Julie Hedrick and Trish Hileman for District 2; Mike Rodee for District 5; and Walt Chappell, Shirley Jefferson, and Ron Rosales for District 6. All of these candidates plus two candidates who could not attend today’s forum will move forward to the November 7, 2017, General Election. In school district elections, all qualified voters district-wide in the Wichita Public School District have the opportunity to vote for the candidate of their choice from all four Board of Education Districts in the November election. 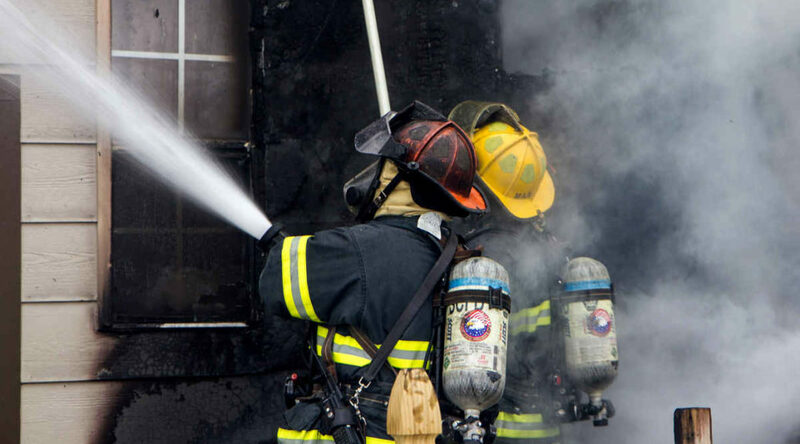 From the Wichita Pachyderm Club: Wichita Fire Chief Ron Blackwell presented an overview of the Wichita Fire Department and the services it provides. This was recorded on March 3, 2017, at the Wichita Pachyderm Club. The accompanying visual presentation is available here. “How to Use Social Media to Market Your Business: What Works in 2016,” a presentation by Phil Mershon, Director of Events for Social Media Examiner. This was a presentation to the Park City Chamber of Commerce. The accompanying visual presentation is here. 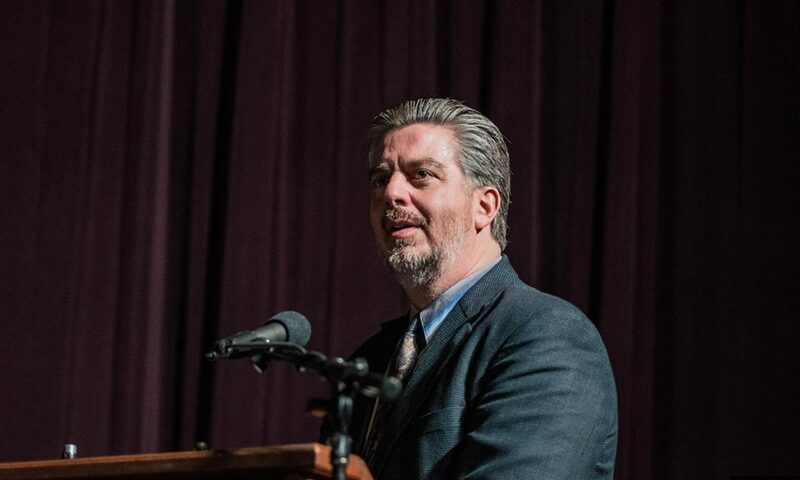 Wichita State University Associate Professor of History George Dehner presented an interesting program at the Wichita Pachyderm Club titled, “Academia and Professorate: Just What are They Doing Up in that Ivory Tower?” This is an audio presentation recorded on April 29, 2016. Sedgwick County District Attorney Marc Bennett spoke to the Wichita Pachyderm Club, providing an update on the activities in his office. This audio presentation was recorded April 8, 2016. 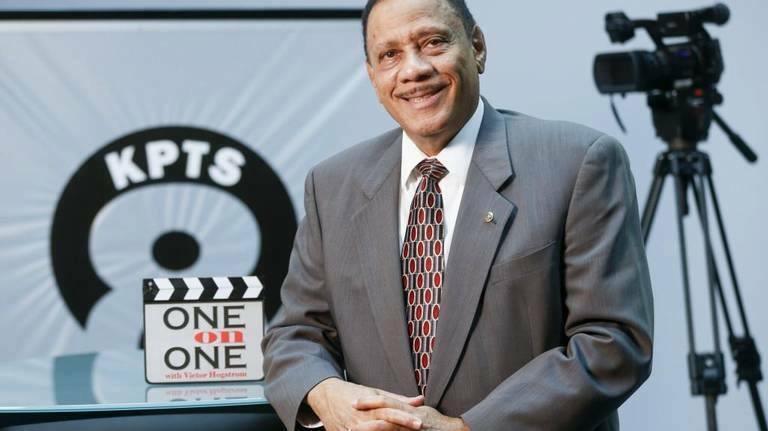 Bennett’s visual presentation is available here. Also, a year in review for 2015 is available here. The Wichita Pachyderm Club featured Wichita Police Chief Gordon Ramsay speaking on the topic “There’s a New Chef in Town.” This was recorded on March 18, 2016. 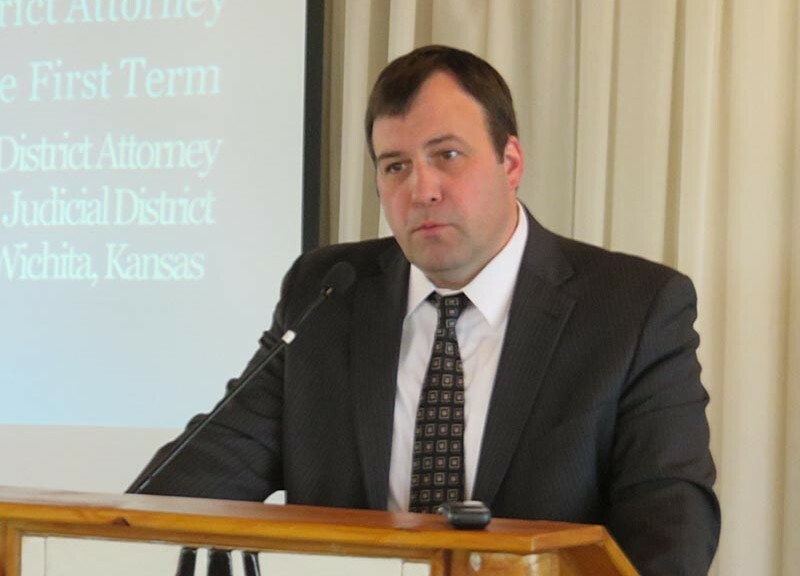 On March 11, 2016 the Wichita Pachyderm Club featured The Honorable Phil Journey, Judge in the Kansas 18th Judicial District Court, speaking on the topic “Gun Rights and Politics.” This is an audio presentation. The accompanying slides may be viewed here. 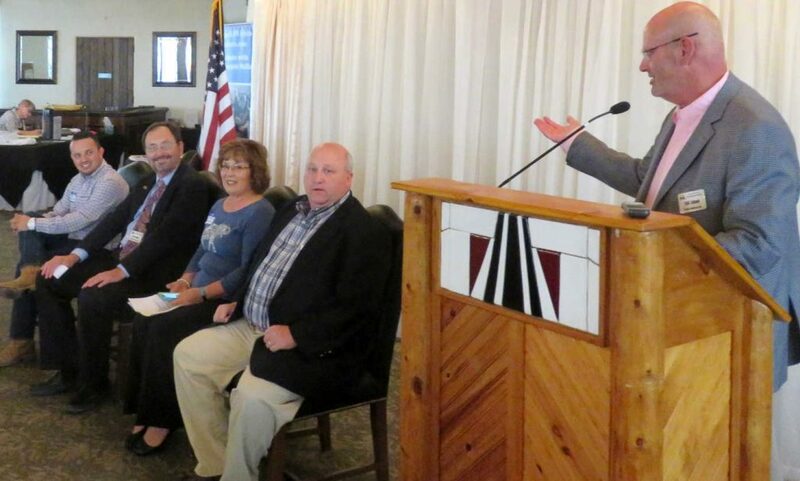 On March 4, 2016 the Wichita Pachyderm Club featured representatives of Republican presidential campaigns. 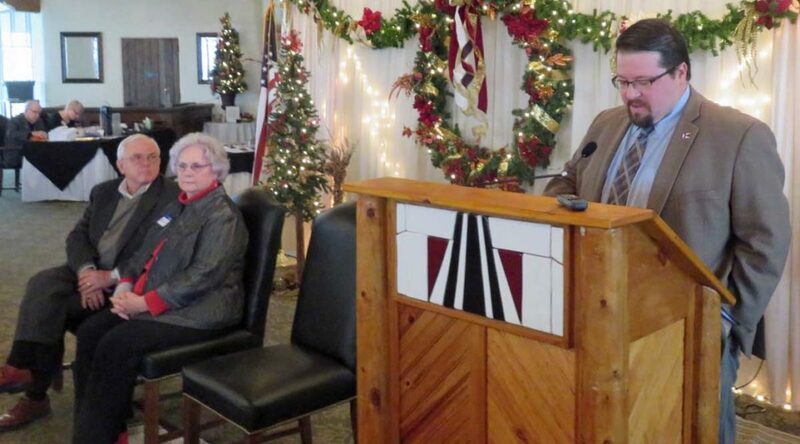 Phil Ruffin spoke on behalf of Donald Trump, Kansas State Treasurer Ron Estes for Marco Rubio, and Oklahoma Congressman Jim Bridenstine for Ted Cruz. Other campaigns did not respond to requests. This is an audio presentation. 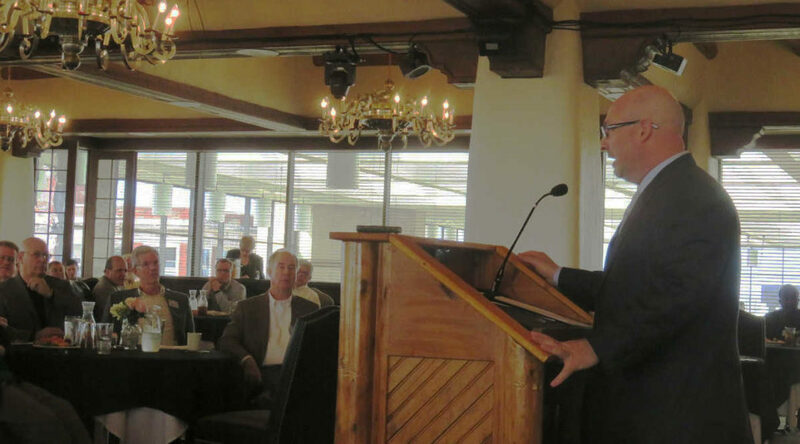 Randall Harris, Utility Manager of Chisholm Creek Utility Authority, spoke on the topic “An Overview of the Chisholm Creek Utility Authority.” This was recorded on August 26, 2015, at the Park City (Kansas) Chamber of Commerce meeting. This is an audio presentation. The accompanying visual presentation is here.